I knew I was misinterpreting it, but I couldn’t help but think of it as too strong a caution beyond the current setting. Thoreau would possibly take exception to a caution to avoid a “wild” life. To not only not embrace it, but to not approach it. I’ve tried hard things. I’ve moved across the country on a handshake, it nearly bankrupted me. I’ve flown to China to adopt a son. It has been a joy. I’ve loved and lost. I’ve loved and found I was loved back more than I can ever imagine. Do, or don’t do. There is no try. It’s supposed to be hard. The hard is what makes it great. If it wasn’t hard then everyone would do it. My week in Yellowstone is drawing to a close. It’s been a truly magical time with my kids, my lovely wife, some relatives who happen to be good friends. It’s a time none of us will forget. 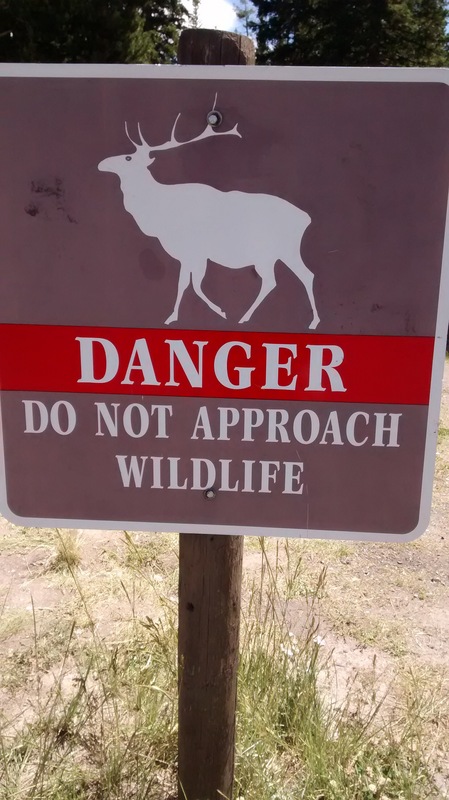 And while the advice to not approach the “wildlife” was valuable and we paid attention to it, I hope none of us are ever so timid as to avoid approaching a wild life.